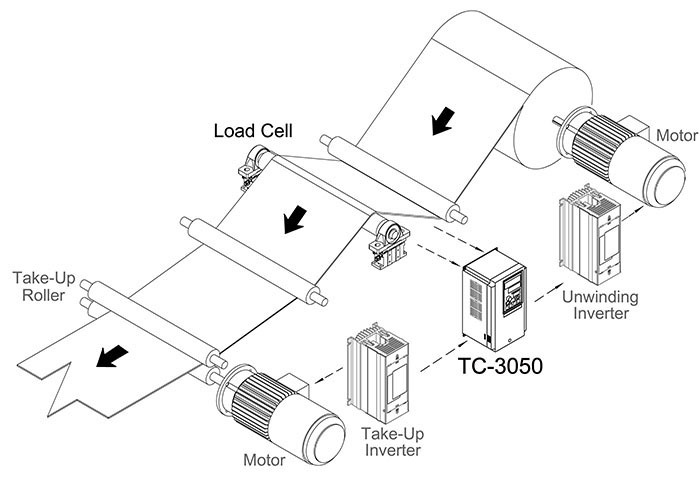 Tension Controller TC-3050 is based on the design of TC-2050 Tension Controller, reducing the volume and become an embedded industrial design, is suitable for installing in the control box. 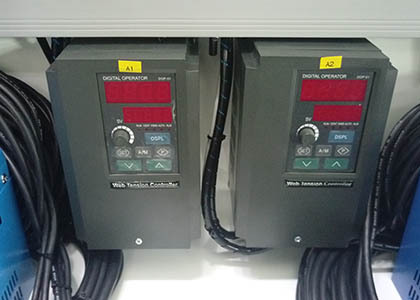 Receiving tension detecto's signal (LMS series, PSD series Tension Detector) and it is the signal source of tension of material in process. 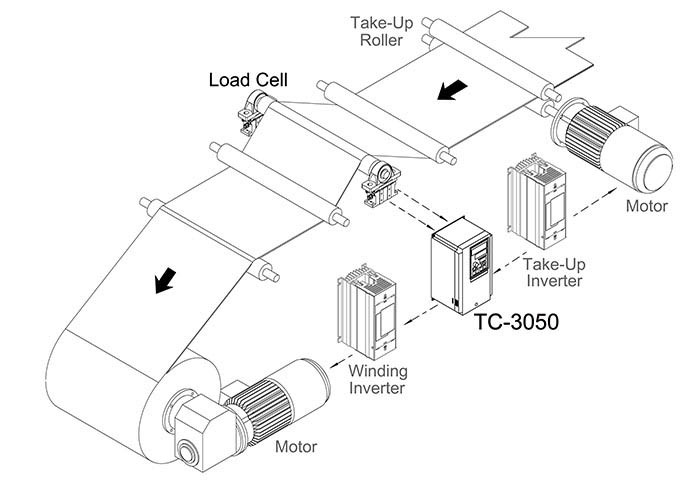 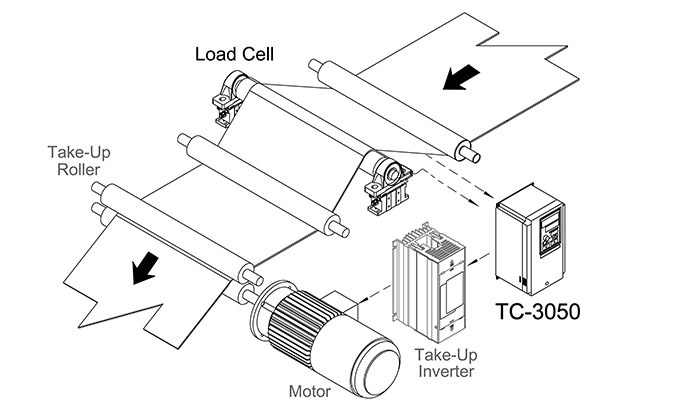 Variety of control to drives: Torque Controller · Vector Inverter · DC Motor Drive · Servo Motor Drive. 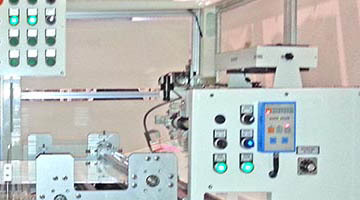 The application example of the picture is showed that Tension Controller TC-3050 is applied to the tension control of thin-film manufacturing equipments.